Nikon is a pioneer of top-notch binoculars, and for so many years now, the Japanese manufacturer has created a wide range of these scopes for a huge number of activities and levels of expertise. If you enjoy bird watching, hunting, stargazing, or any activity that may benefit from binoculars, you can be sure that Nikon will have something excellent for your needs among its product lineup. Although the company’s designs are different and the overall cost will vary depending on the binoculars you’re looking for, ultimately Nikon is among the few manufacturers in the marketplace that has a product for virtually everyone. 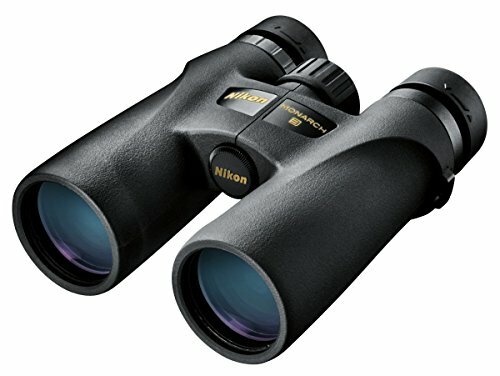 Despite this diversity in binoculars, one pair that stands out from the company is the Nikon Monarch ATB 8×42 Binoculars. The product is one of the best in the Monarch range, and to be fair it comes with superior features that make it a unique option. In case you’re still not sure whether or not you might want to buy one of this company’s sets of binoculars, here is a full Nikon Monarch binoculars review to check out. Based on the superior features that make the Nikon Monarch ATB 8×42 Binoculars a highly rated customer pick, it’s obvious that this set has a number of benefits for users. To start with, these binoculars offer outstanding, crystal-clear clarity so you can view just about anything you want without any distortion or interference. This applies to looking at moving objects as well, not just at static images. 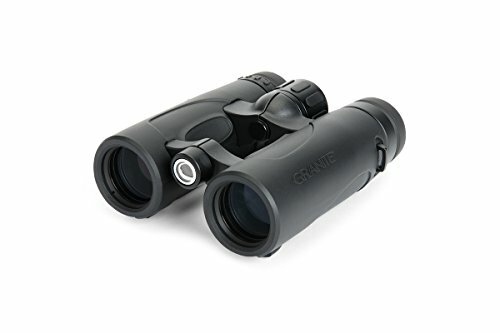 The binoculars are also very light at just about 1.3 pounds, so in case you intend to move around with them for different activities, such as bird watching, the pair is very easy to carry. The rubber eyecups that are part of the design are also worth noting. They’re not only comfortable for your face but are also very soft, so they’re quite unobtrusive. Unlike many other binoculars on the market, the Nikon Monarch ATB 8×42 Binoculars offer an easier focusing option, and the dielectric multi-layer prism ensures you get high-quality color and contrast. The technology behind the binoculars is simply exceptional, and if you’re looking for specialized binoculars for different purposes, these can fit the bill. A lot of customers report that these are even effective for amateur stargazing, meaning you won’t have to shell out hundreds more dollars for an astronomy-specific pair of lenses if you’re just getting started in this hobby. One last result of the Monarch ATB’s superior technology is that these deliver a lot of light to your eyes, so you can see well even at dusk or nighttime. Additionally, the binoculars are also waterproof and fog-proof, so you won’t have to worry about rainy days or sea spray from trips out on a boat. Besides, the binoculars are also cheaper, especially for the diverse features and effective functionality they bring to the table. You can count on these to do almost any job, whether you’re a casual beginner user or are more experienced and have something specific in mind. Despite the superior qualities that define the Nikon Monarch ATB 8×42 Binoculars, there are some issues that some people may find a little problematic. To begin with, the eye relief, which stands at 15.5, is somewhat small, especially for a set of binoculars that offers a central focus of up to 8x. The eye relief is lower compared to comparable models from other well-known brands, so it might be difficult for you to look through these if your eyes aren’t too close together. Additionally, the field of view is also relatively smaller compared to some of the major binoculars out there that do better in this area. Despite these quibbles, this set of binoculars is still worth the money, as you’ll likely need to pay more to get features that are slightly more advanced. The Nikon Monarch ATB 8×42 Binoculars are ideal for the ordinary person who’d rather contend with a few minor cons than pay a lot of money for premium binoculars. However, this should take nothing away from their innovative features and quality design. The binoculars offer relatively better focusing options than other lower-cost models, and the light-transmission technology as well as image clarity get full marks. The Nikon Monarch ATB 8×42 Binocular overall gives you a good viewing experience that’s near top expensive brands without the high cost (but without being exactly at that high of a level). With everything said and done, when you compare the Nikon Monarch ATB 8×42 Binoculars and other more expensive sets, the differences are not that big and the Nikon product comes in at almost half the price. For this reason, these binoculars earn a 4 out of 5 star rating. They’re not meant for professionals by any means, which does isolate a significant population of buyers, but otherwise you’ll likely benefit from them. Just for an added fun, here is a short video that showcase the Nikon Binoculars 7540 MONARCH. This is also to provide more clarity with our review. This product is applied with the latest technological advancement and perfectly engineered to provide you with the magnification, comfort and ease of use. Although the Nikon Monarch ATB 8×42 Binoculars are definitely an ideal buy, they’re still not the only binoculars that can give you good value for money. You can get similar features and a comparable viewing experience buying the Vanguard Endeavor ED 10×42 Binoculars for about $240. The binocular set comes with nice image clarity, easy focusing, and a commendably light weight of 1.5 pounds for portability. The magnification is better than the Nikon Monarch’s with 10x capabilities instead of 8x. However, one problem that customers find with the Vanguards is that the field of view is easily distorted when you’re looking at a flat horizon line. The image tends to curl up or become wavy, which can be detrimental if you’re interested in using these for something like hunting. Monarch customers don’t report this problem whatsoever. If your biggest priorities are quality and superior design, check out the Celestron Granite 9×33 Binoculars. Although the cost is a bit higher at $280, the build and the overall features are worth the money. Their magnification falls between the Nikon and the Vanguard models at 9x. For the most part, customers love the functionality of the lenses and the great clarity they get, but the Celestron Granites are also plagued by ergonomic issues. They lose their lens caps easily and the focus wheel can be difficult to turn (and even find with your finger) when you’re looking through the lenses. With that said, the Nikon Monarchs are still the best buy for the price and quality. ViewingBinoculars.com is a participant in the Amazon Services LLC Associates Program, an affiliate advertising program designed to provide a means for sites to earn advertising fees by advertising and linking to Amazon.com. Amazon and the Amazon logo are trademarks of Amazon.com, Inc or its affiliates. Copyright 2018 by Viewing Binoculars.